Waingels Gardens Day Nursery in Reading for children between the ages of 3 months to 5 years. Waingels Gardens Day Nursery is part of The Forbury Group of Nurseries, established in 1991. We provide a professional private childcare service. We offer full and part time places to children from 3 months old up to the age of 5 years. We are open 52 weeks of the year. Monday to Friday 8am until 6pm. We are situated in the grounds of Waingels College, with ample parking for dropping off and picking up your child. The Nursery is close to the A4 and ten minutes from Reading town centre. All of our meals are home cooked using fresh, locally sourced ingredience. We also cater for all food allergies and dietary requirements. 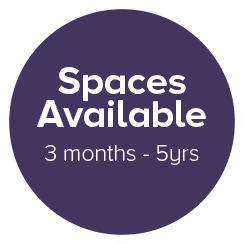 Our other Nurseries are situated in Reading and surrounding areas; Forbury Gardens, Berkeley Gardens, Woodley Gardens and Newbury Gardens Day Nursery. Waingels Gardens Day Nursery is part of The Forbury Group of Nurseries, established in 1991. Our other nurseries are situated in Reading and surrounding areas; Forbury Gardens, Berkeley Gardens, Woodley Gardens and Newbury Gardens. We offer full and part time places to children from 3 months old up to the age of 5 years. We are situated in a purpose built building adjacent to Waingels Copse College, Waingels Road. We aim to provide a warm, happy, welcoming environment for everyone. Our qualified staff understand the importance of allowing each child to develop their individual interests and learning skills. We endeavour to provide different activities everyday to help each child progress fully. We hold Personal Progress Reports on each child and assess your child’s development daily. This report is shared with parents so that you are regularly updated. With younger children, particularly babies, we understand the importance of your childs’ care routine, and we aim to maintain continuity between home and Nursery. We are committed to safeguarding and promoting the welfare of individual children. All of our staff are expected to share this commitment and have been thoroughly vetted in accordance with Ofsted requirements. Our Senior team are all qualified and highly trained in child care and education. We also use an apprenticeship scheme to train enthusiastic and passionate individuals who are starting out in their childcare career. Staff receive regular ongoing training to help them to further their career and knowledge of childcare to reach their full potential. We consider health and safety of each child of upmost importance and each child is allocated a ‘key person’ when they first start at the Nursery. This ‘key person’ will ensure that your child feels individually cared for. Children’s meals are cooked on site every day by our qualified cook. We use fresh fruit and vegetables and source meat locally. We cater for all allergies and dietary requirements. All of our Nurseries practice a range of policies and procedures. These are available for all parents to read.  Policies and procedures are set and put in place by OFSTED and EYFS to safeguard children. These include procedures for illness and disease, health and safety, child protection, security, hygiene, food and nutrition to name a few.